Donald Trump and former butler Anthony Senecal. 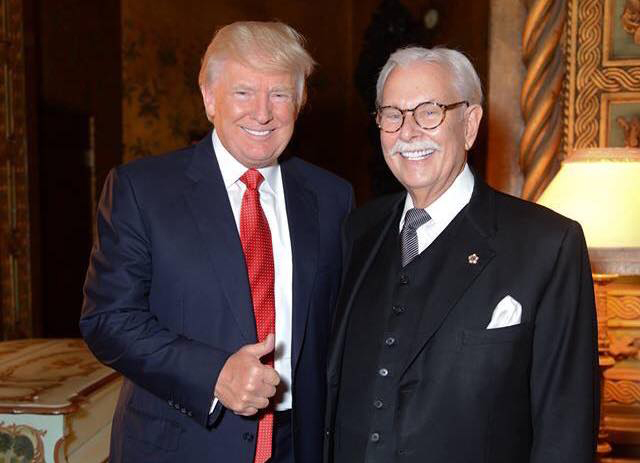 The Secret Service is investigating Donald Trump’s friend and former butler over vile Facebook posts calling for President Obama’s murder. Anthony Senecal said Obama is a “Kenyan fraud” who should be hanged for treason, the New York Times reports. Trump’s campaign spokesman criticized Senecal’s statements. Posted: 5/13/16 at 9:01 AM under News Story.